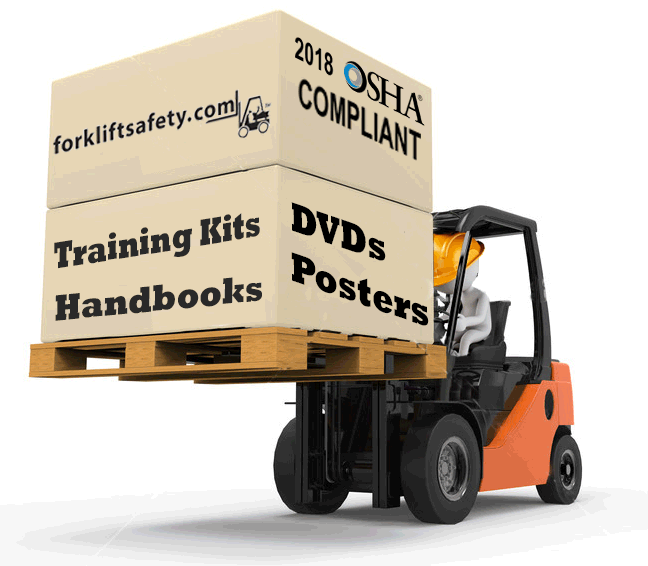 Forklift safety training materials are a necessary part of OSHA compliance. OSHA requires anyone who drives a forklift to be properly trained in how to safely use the machine to prevent and avoid serious accidents, including death. There are multiple parts to OSHA’s certified forklift training, including formal instruction in the form of videos, discussion, written materials and lectures, practical training in the form of hands-on exercise and demonstration, and worker evaluation to ensure all safety standards are being followed. Fortunately, you don’t need to hire a certified instructor to come in and train your employees on forklift safety and accident prevention. You can train them yourself or have someone else in your facility train them by purchasing our English forklift safety training kit or Spanish forklift safety training kit. Here at Forkliftsafety.com, we take safety seriously. Our experience in forklift safety and forklift safety training spans 25 years, which means we understand forklift training better than almost anyone, whether in the construction field or a warehouse. The training kits we’ve developed will save you time and costs, while ensuring all of your employees receive the valuable forklift safety training they need. Training can be completed in as little as two hours, and you don’t need a certified instructor to run it. Our training materials can train up to 20 people. If you need additional people trained, you can order supplemental English forklift safety training manuals or Spanish forklift safety training manuals and materials for a fraction of the cost of our full forklift safety training kits. We offer the most comprehensive and efficient forklift safety training materials for your facility for a fraction of the price other places charge. See for yourself! Contact our forklift safety training company today!